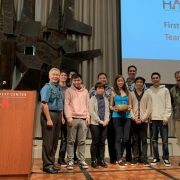 Students from the UH Mānoa Department of Information and Computer Science (ICS) took first place (Team Pika), second place (Gucci Gang) and fourth place (Ohia.ai) at the 3rd HawaiʻiAnnual Code Challenge (HACC) in November. 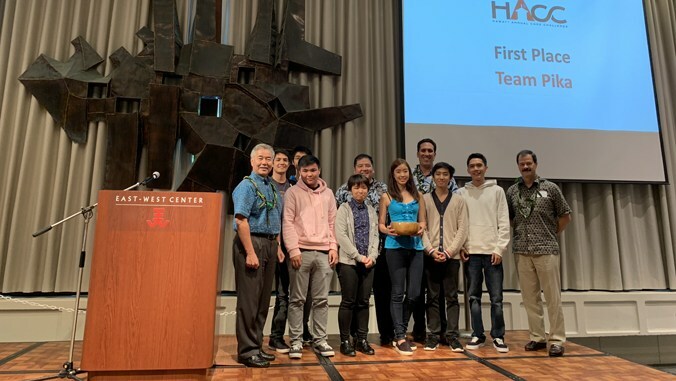 Team Pika beat out 18 other teams competing across five different sustainability challenges by building an app that will help UH’s energy management team visualize building-level energy data received from the recently installed smart meter network on the UH Mānoa campus. Gucci Gang built a mobile app driven by Google’s TensorFlow machine learning library that allows users to identify native and invasive plants within seconds. Finally, Ohia.ai built a citizen science application allowing Hawaii residents to photograph and document plants and other environmental features.